Outcomes: From my Fellowships, I’ve develop curriculum that has helped high school students make connections between math and real issues, such as the environmental impacts of paper use at the individual and school-wide level. 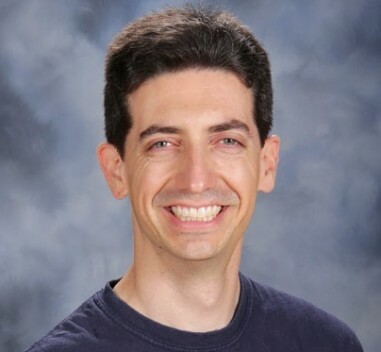 I’m a math teacher in the Palo Alto Unified School District and I’m passionate about connecting math to real-world issues, helping students develop problem solving skills, integrating technology into lessons, and creating math songs. At IBM I helped analyze and improve energy efficiency of server rooms. I created video tutorials for Intel and Synopsys and worked with teachers as a Coach to develop innovative lessons that connected their summer Fellowship work with their curricula. I developed several Education Transfer Plans (ETPs) that have helped students connect math to environmental awareness and that have helped staff better integrate technology into their classrooms.